Draw the top card of the enemy deck. Steal - Taking an enemy card is stealing. 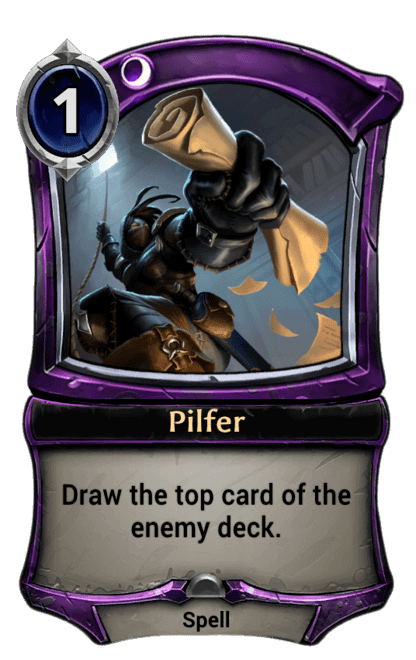 Stealing a card removes its influence requirements.